Well, of course if I see the words Dominique Ansel and recipe, you know I’m definitely going to give it a try. I spotted his banana bread recipe recently, and lo and behold, I happened to have 3 extremely ripe bananas laying around. Obviously, it was fate. 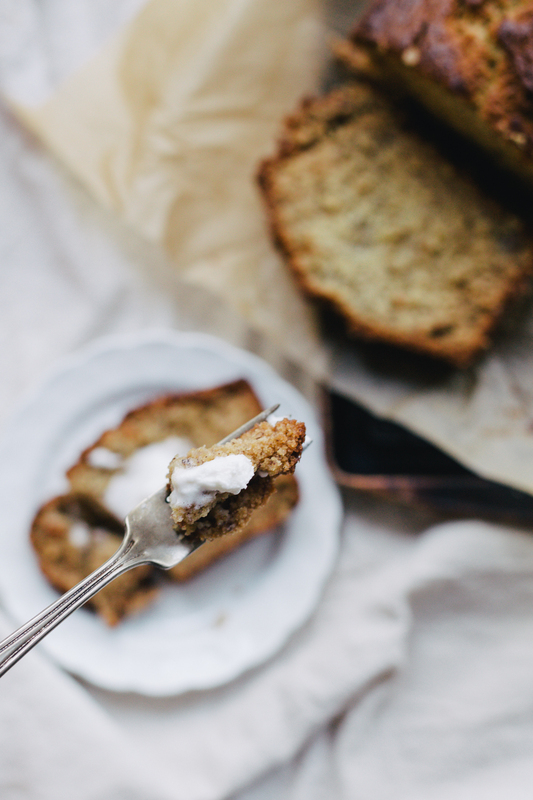 Considering the man invented cronuts and milk and cookie shot glasses, to say I had high expectations for this banana bread would be an understatement. 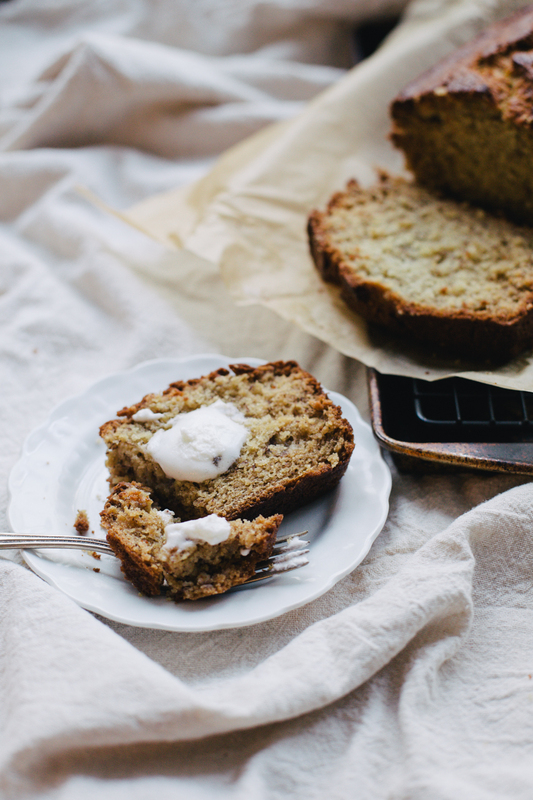 I imagined that this would be the banana bread to end all banana breads. That after this, I could no longer eat banana-less bread. 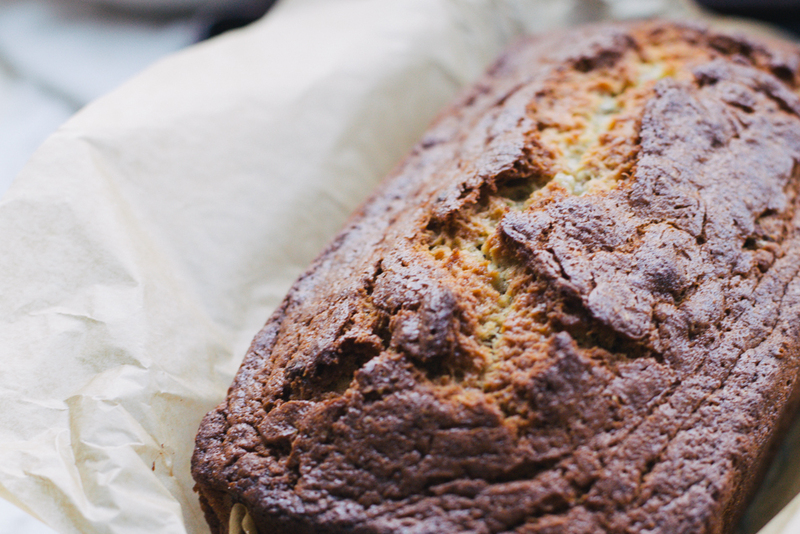 While it wasn’t quite as earth shattering as described, it was a solid, delicious banana bread with all the right elements. It was moist and just dense enough. However, the “crust was out of this world.” Perfectly caramelized and packed with maximum flavor, the crust on top was what really stole the show. It was like banana bread crust with some bread. All in all, I do plan to remake the banana bread, but add some other elements such as chocolate chips or walnuts, or maybe even adding a streusel on the top. YUM. I modified the original Dominique Ansel recipe— you can find the original recipe here. Start off by preheating the oven to 350 degrees F. Grease a loaf pan. 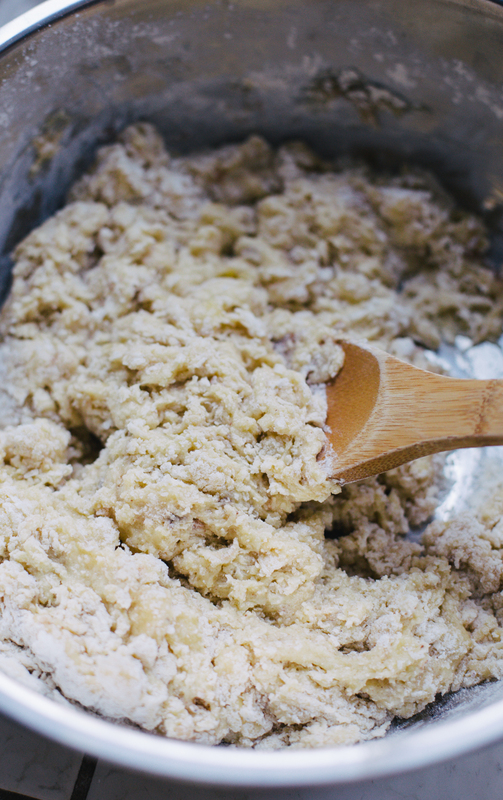 In a large bowl, combine the sugar, flour, baking soda, nutmeg, salt and baking powder. In a separate, smaller bowl, beat the eggs together and add the mashed bananas. Pour the banana mixture over the dry ingredients and mix until just combined. Pour in melted butter and stir until it’s blended in. Pour the batter into the loaf pan and bake until golden brown, or until a toothpick inserted in the center of the loaf comes out clean. This took about an hour and 15 minutes. Do not fear if the crust starts to look pretty brown– mine managed to stay unburnt even though it started browning relatively early in the baking process. Cool for about 20 minutes before slicing. 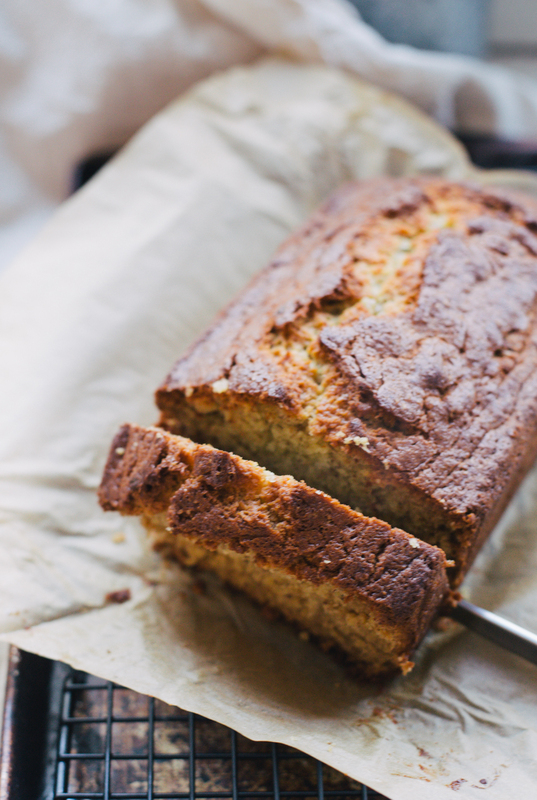 This looks super delicious – I love a good slice of banana bread with coconut yoghurt! Yum! I tried the original recipe and it was way too sweet – I like how you reduced the sugar in your version. I definitely have to make it again with your measurements. This recipe looks so easy. I can’t wait to try it this weekend (but with chocolate chips).